Google’s Display Network reaches over two million websites and 90% of people online. Let’s just repeat that number. Google’s ad display campaigns reach over 90% of people online. When people first approach our PPC agency in Manchester they know they want more traffic to their business’ website, but they don’t have a clue how to get there. Pay per click in Manchester works quite well, however. 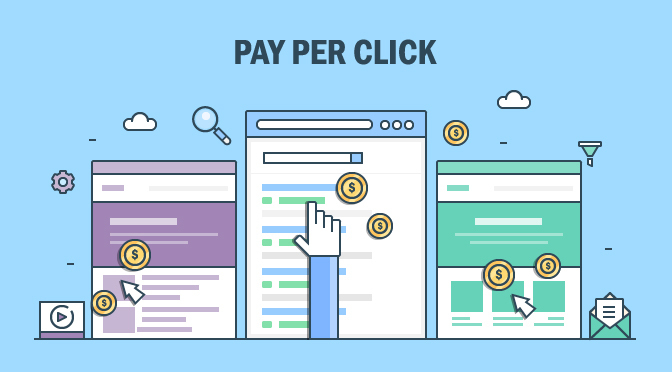 Despite connecting with so many people, there is no guarantee that your PPC ad campaign will get the results you want. In fact, even seasoned online marketers can fail to create killer online ads. It takes a deep understanding of PPC ads, how they work, and how people respond to them to get real results. Our mission is to help you do exactly that. The first step to creating a PPC Manchester campaign that works is understanding what doesn’t. One of the greatest issues with bad ad campaigns is the quality score. Quality Score is Google’s own rating that ranks the quality and relevance of the keywords used in your PPC ads and the relevance of those PPC ads themselves. It is the factor by which Google chooses the cost per click of your ads and is also used to adjust your ad rank during auctions. A close second in this process is your landing page quality and relevancy. Agencies who understand the importance of your ad’s Quality Score can provide greater insight into which keywords to choose, how to structure your landing page, and so much more. Ultimately, you want to maximise your quality score so you’re paying as little as possible to have the greatest results possible. A spike in your conversion rate is typically the result. Speaking of relevance, your keywords also play a role in this part of your PPC ads. The most successful PPC campaigns don’t achieve success because they just got ‘lucky,’ no they work tirelessly to create a strategy that keeps in mind the importance of their keywords within their ad group. Ad groups have one or more ads that target a specific set of keywords. You will bid on that group of keywords which you will pay when keywords trigger the ad to show up in Google’s results. This is the cost per click we referred to earlier. Google also lets you choose your prices for individual keywords that exist within your chosen ad group. To be successful, you’ll want to create ads based on keywords that fit your niche. If there were a secret sauce to PPC ads, it’d be targeting. Your ads should always target a specific keyword group. Failing to do so dramatically lowers your chances of boosting conversion rates on each of your campaigns. Because ads don’t show up to the right people if you fail to target them. People who might be interested in your products won’t be shown it and people who aren’t likely will. As a result, they won’t click on your ads and never will end up at the next phase of your sales funnel. There is four pay per click platforms that offer you the best results, but of them, our favorites are Facebook and Google. However, to be successful you’ll need to approach your strategy differently on each platform. Facebook offers a unique user experience. People aren’t generally on their Facebook account to be sold products. They want to engage, make new friendships, and learn what’s going on in their community. With Google, people do most of their shopping first by doing research, that’s where you can capture their attention. The next strategy is hyper-targeting your ads. Get them in front of people who want to click on them, who need what you’re selling, and do it by analyzing your demo and hitting them hard with compelling ad copy. Another component of failing PPC ads is bad copy. You only have one opportunity to capture your leads before they click off to something else. Use the power of compelling words to get you there. Ask questions. Emotionally connect with them. Offer rare information. But above all create your buyer persona first so that you know what interests, disinterests, and needs are. If you’d like to start a PPC ad campaign, but don’t know where to go from here, we’d like to help. As a PPC agency in Manchester, we know how to create compelling ads that get real conversions and results. Contact our team today to learn more about how we can help you.